Foot Warts Duct Tape Home Remedy - Is It Really Working? The foot warts duct tape method will work on flat warts as well as those which are raised up, and the treatment is easy to use and follow. All you have to do is apply the duct tape completely over the wart, and then leave this on for six days. After this time period has passed you will remove the duct tape and then soak the affected area in water for ten minutes. Once the area has been completely soaked then take an emery board or nail file and start to remove the dead skin in the area. The foot warts duct tape home remedy really is that simple. Next you simply repeat these steps if the wart is still visible. You can tell that the foot warts duct tape remedy is working because you will notice that the tissue of the wart starts to become a whitish color and appears crusty. This will happen within one or two weeks of starting the treatment, and the wart will gradually continue to disappear over time. This remedy can be very effective for almost all types of warts, including mosaic warts, and may work just as well as more expensive treatments or even those given by a dermatologist. 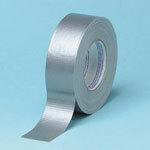 Why not to try the foot warts duct tape home remedy and see if it works for your warts?